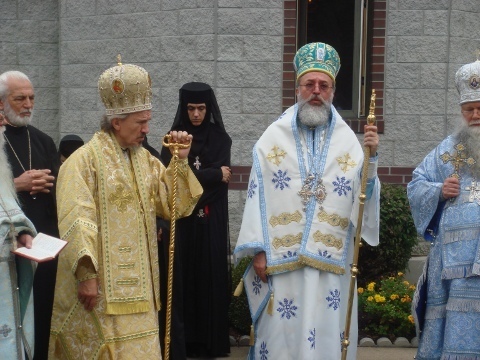 New Carlisle, IN - On Monday, September 21, 2009, the Feast of the Nativity of the Mother of God, His Grace Bishop Longin of New Gracanica-Midwestern America, along with His Grace Bishop Mitrophan of Eastern America and His Grace Bishop Peter of Cleveland of the Russian Orthodox Church Abroad, served the Hierarchical Divine Liturgy at the Serbian Orthodox Monastery of the Nativity of the Most Holy Theotokos in New Carlisle, Indiana. His Grace Bishop Mitrophan spoke to the monastery pilgrims about the importance of prayer to the Mother of God, especially while traveling. 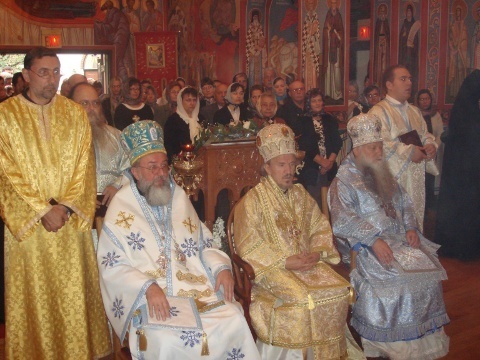 After the Dismissal of the Liturgy, the Hierarchs served the Rite of the Cutting of the Slava Kolac, followed by a memorial service for Mother Abbess Evpraksija (Paunovich, +2007) of blessed memory, the founder of the monastery. 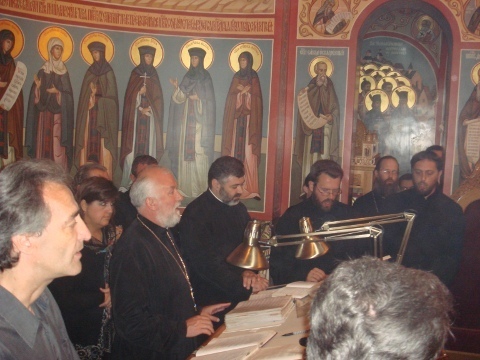 After the divine service, the hierarchs attended a meal in the monastery hall along with all the monastery pilgrims. 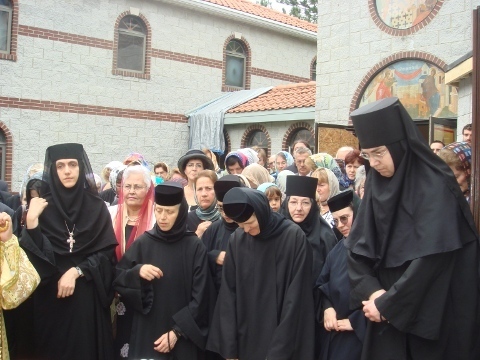 After the meal, the hierarchs greeted Mother Abbess Makrina and the Sisters of the Monastery, along with Archimandrite Gavrilo. 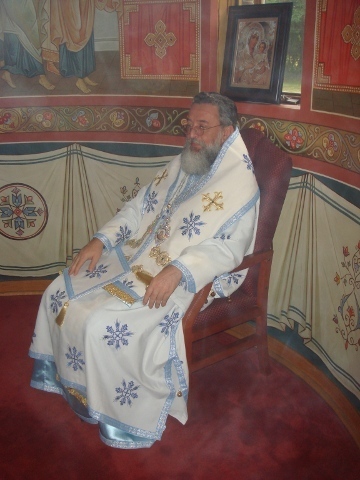 His Grace Bishop Peter also spoke to the pilgrims about the the Miracle-Working Kursk-Root Icon of the Mother of God, whose main feast is celebrated on the Nativity of the Mother of God and is currently visiting Russia for the first time since it was brought out of its homeland following the Bolshevik Revolution.